It was a busy year last year. In fact, there was so much to document it took me until now (late January) to post this! For Martin Luther King Day weekend, we took the kids to snowy Leavenworth (the closest thing we have to a Bavarian village in the North Cascades in Washington). 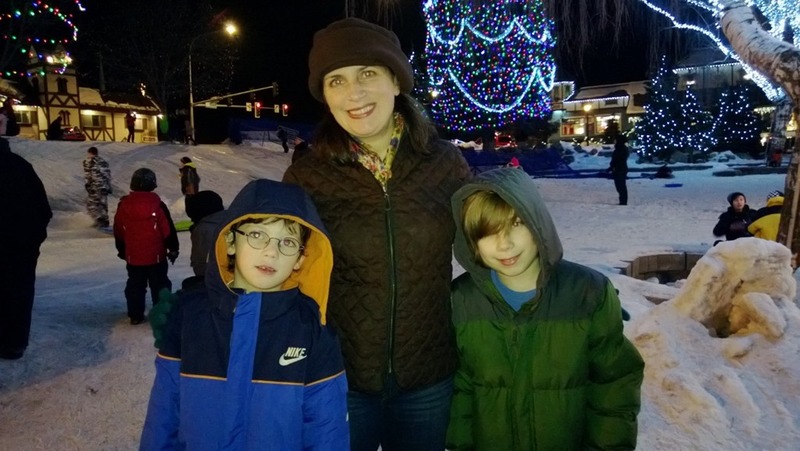 There's a lot to do in this town, but we mainly focused on sledding, eating German food, visiting Icicle Creek and Sleeping Lady Mountain Retreat, and seeing the amazing lights in the town square at night. 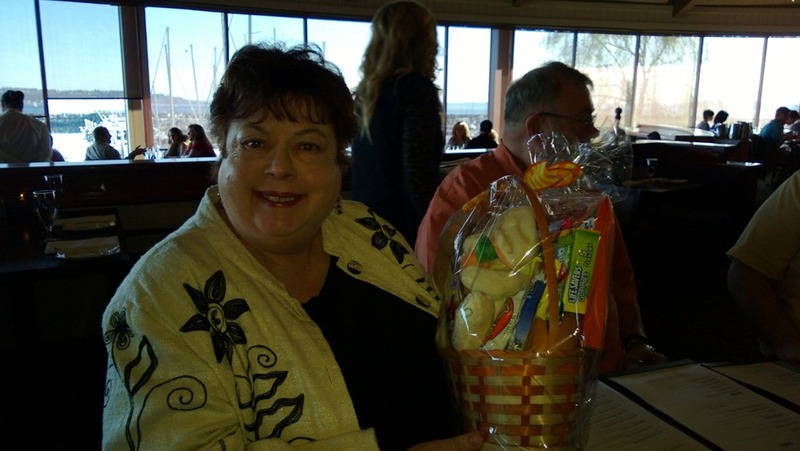 My Mom turned 70 this year, and the whole family got together to celebrate at one of our favorite restaurants in Seattle, Palisade, on Easter Sunday. Also on Easter Sunday (before the birthday celebration), I had lunch with New York Times bestselling author Kevin J. Anderson. (He also wrote the novelization of Rush's Clockwork Angels.) 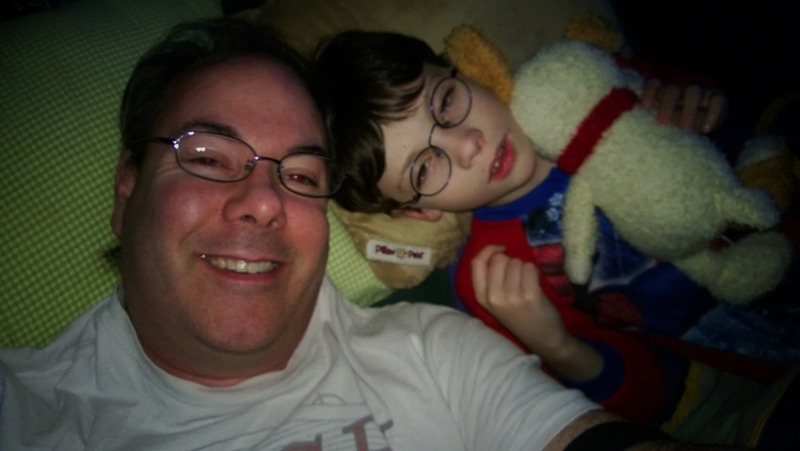 Read my blog entry, "Leaving the Cave with Kevin J. Anderson." 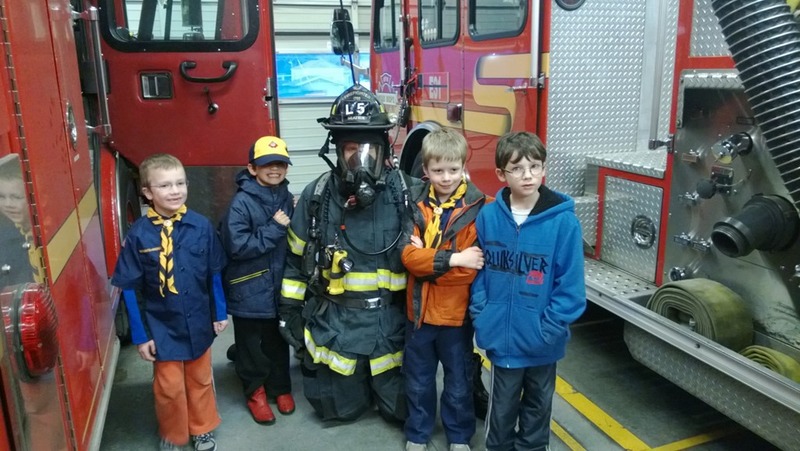 Drew and his Cub Scout troop visited our neighborhood fire station 31 for an in-depth tour by the great crew there. My neighbor and veteran firefighter Pat help set up the visit (it's his old station). To thank the firefighters, we brought a platter of brownies, which they devoured after the tour. Here's a photo of all the boys with one of the firefighters. When the Space Shuttle program ended in 2011, the three remaining ships (Atlantis, Discovery, and Endeavour) were distributed to a few museums throughout the country. While the Museum of Flight in Seattle didn't get one those ships, it did get the NASA Full Fuselage Trainer (FFT) that every shuttle crew used. I got a chance to tour the FFT this year, and it was worth the extra admission price ($30 for adults). It's hard to understand the cramped layout of the shuttle's cockpit and living area unless you go inside. The Museum of Flight did a great job with this exhibit, and is well worth visiting if you're in Seattle. 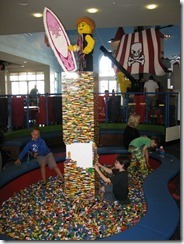 My favorite story was told by the docent standing behind me in the photo below. Evidently, President Bill Clinton took a tour of FFT when it was at the Johnson Space Center in Houston, Texas. 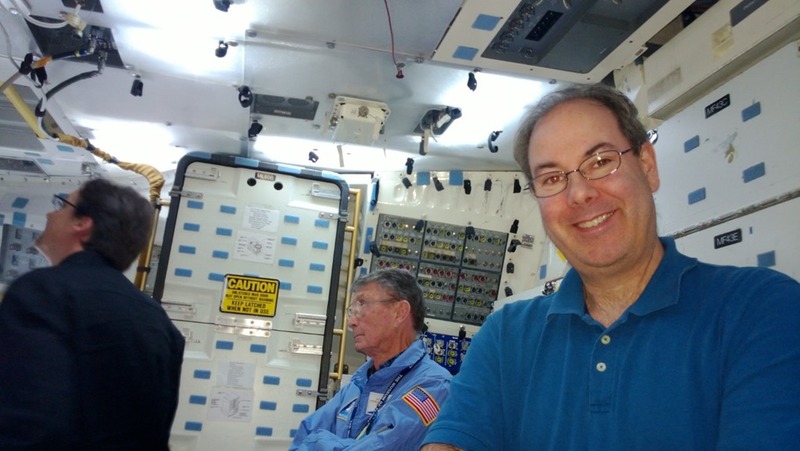 When he saw the water faucet (or whatever it's called on the shuttle), he said he'd always wanted to have a drink of water from a spacecraft. They told him they didn't usually use it, but he insisted. He took a drink and said it was excellent. After he left, they tried the water and it was horrible! After that time, they always kept potable water on the FFT for presidents or anyone else who wanted a drink. As part of Drew's "expedition" at school on tide pools, his second grade class got to spend the night at the Seattle Aquarium. Since I had been busy with work and unable to volunteer as much as I wanted, I went on this trip. We did all kinds of stuff that I'd never done before, including visiting the area where they prepare all the food for the sea otters. The kids also visited the sub-zero freezer. We caught plankton off the peer outside, and then looked at it under a microscope. Drew's favorite part was eating snacks in the main aquarium. Then we got to sleep in the giant glass dome that's under the water (so you can see all the fish swimming above you). Drew and I staked out a spot in the hallway leading into the dome (which was fine with me, because it was a zoo inside). They told us it got cold at night, but I didn't think much about it. I mean, how cold could it get? When I woke up in the middle of the night and felt the icy air on my nose and face, I wondered if someone had left that sub-zero freezer open. And, as is the case with any kind of camping (indoor or outdoor), I had to go to the bathroom. First, I walked up the ramp leading to the main aquarium building. I was observed by a few birds in their habitat -- obviously wondering who this guy was walking around in the middle of the night. But the doors to get out of the building were locked! So, I had to walk all the way back down the ramp, through the dome, and around that minefield of sleeping bags to use the other bathroom. A few days later, I would receive my special t-shirt that read, "I Slept with the Fishes." He also got a nice dinner at Cucina! Cucina! in Issaquah with my family (and got lots of presents). We've been lucky, because our 15-year-old cats have been relatively healthy. But in April, Rocky needed surgery. 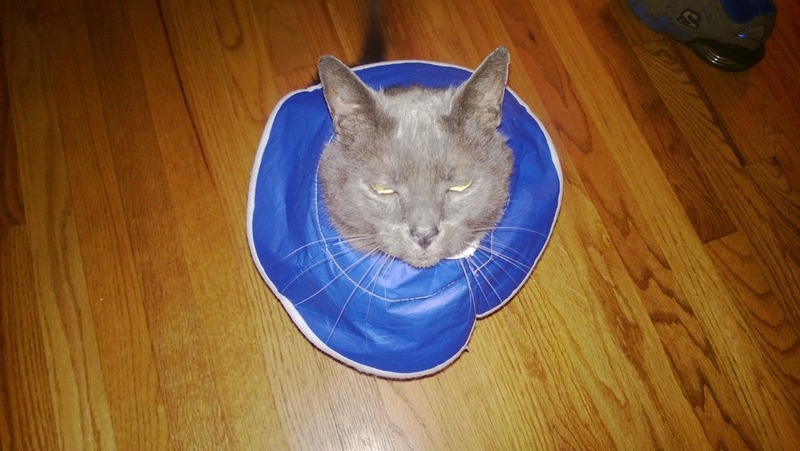 For two weeks afterward, he had to wear "the cone of shame," as Cameron called it. He freaked out so much, we changed the cone into a kind of blanket. I would take it off every once in a while (or he would!) and let him lick for a while, but we were pretty diligent. He recovered well, but he's definitely slowed down. My rock brother Chris (from the legendary Chris Mess) got married to his sweetheart Mary at Urban Light Studios in Greenwood. Both Chris and Mary are born entertainers, and that's exactly what they did for the wedding attendees, with a full backup band (the fabulous Velveteen Lotharios). 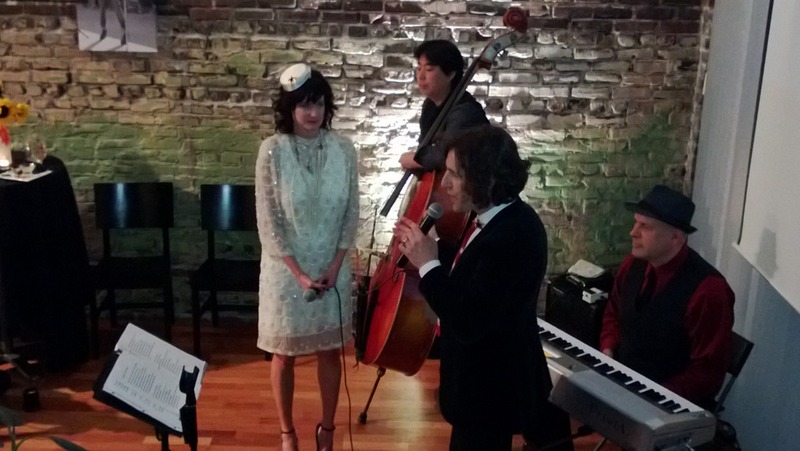 What I loved about their wedding was how it reflected their personalities: from the photos on the walls, to their wedding clothes (Mary's shoes and hat were a big hit), to the songs they played. Congrats, Mary and Chris! 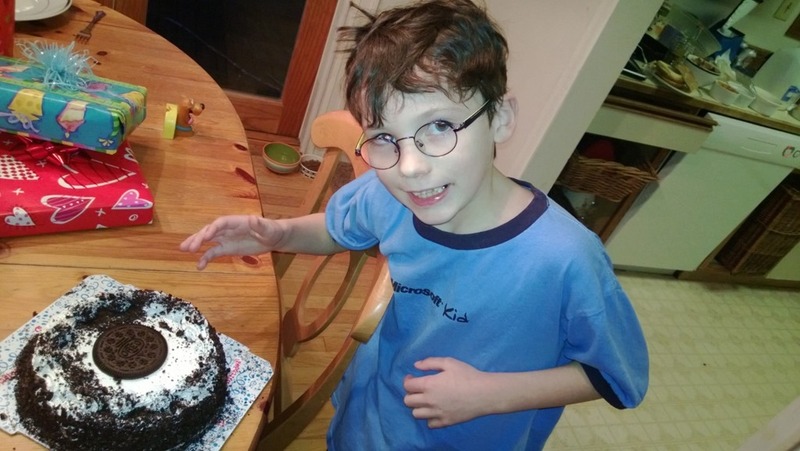 For Brenda and Cameron's birthdays, we made a week-long trip down to California. This was Drew's first visit to Disneyland, and he wasn't disappointed. Brenda did some great planning -- from figuring out the sequencing of rides (there's a book that she found that tells you how to do it) to where we stayed. The result was our hotel was near the entrance (so we didn't have to walk too far), and we never waited more than 20 minutes for a ride. Brenda birthday was on the first day in the park. Like her birthday 9 years ago, we tried to eat dinner at the Blue Bayou near the Pirates of the Caribbean ride -- but it was not to be because of the wait time. But she did get an awesome parade in her honor. For me, the highlight was Star Tours - The Adventure Continues. Not only was the 3D motion simulator and screen much better than the original Star Tours, it also has a "branching narrative" that can create up to 54 unique ride experiences. Drew and I went on this ride multiple times and never saw the same story. My favorite was when Vader uses the Force to shake the ship around. 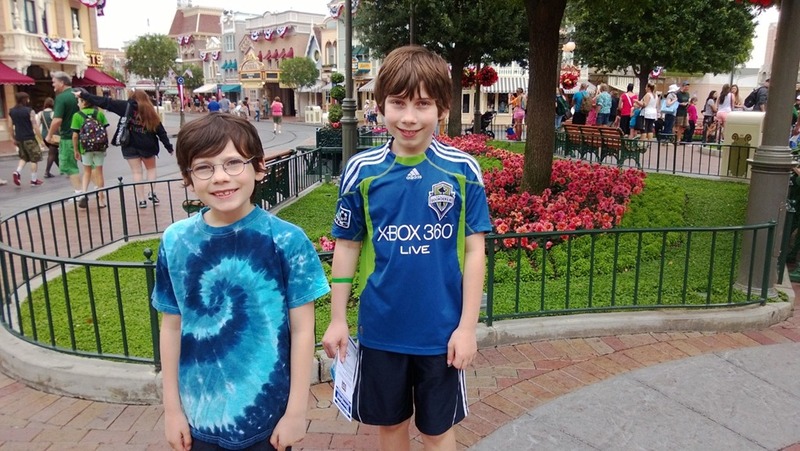 On Cameron's 13th birthday, Disneyland was open 24 hours to kick off the summer season. We made several trips to the park, and in the evening celebrated with the Bielicki family who live in the area. I hadn't seen Brian and Jenni in a long time, and had never met their three children. 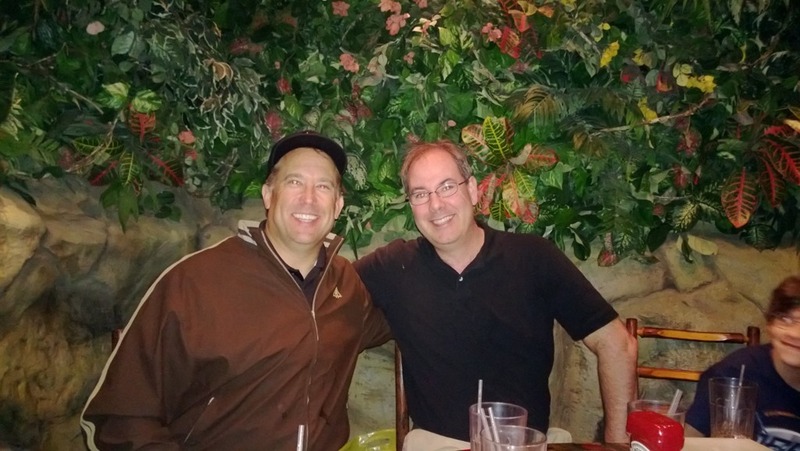 We had plenty of time to catch up while we waited to be seated at The Rainforest Caf�. (Fortunately, Jenni used some kind of secret California handshake to get us in within an hour -- instead of the projected 2 hours!). 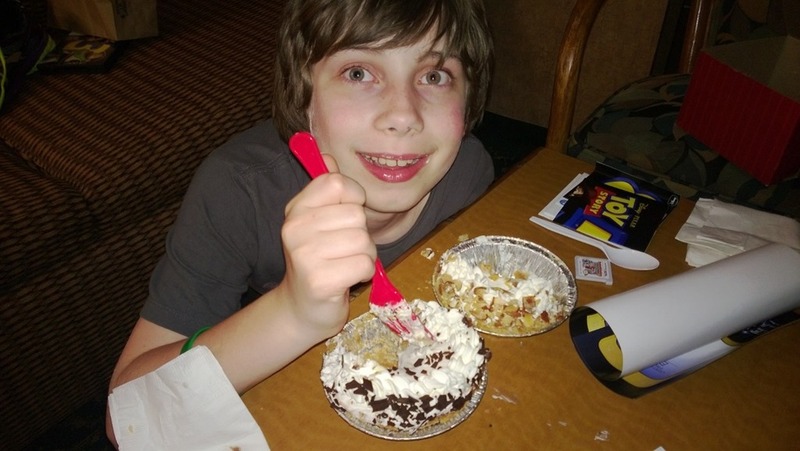 Later on at the hotel, Cameron enjoyed two cream pies that we bought at lunch that day. 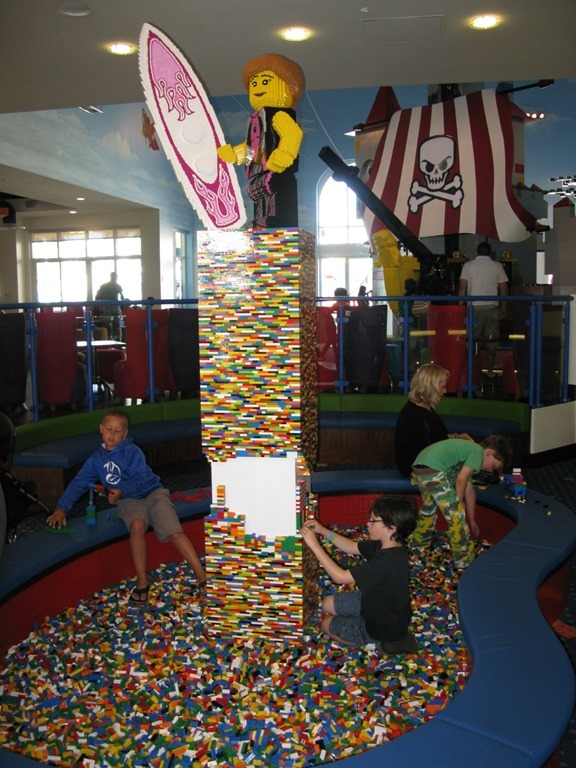 The next day, we drove to San Diego. Brian had warned me about how busy the freeway would be, and he wasn't kidding. 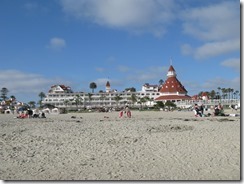 I think it took us four hours to get to the Hotel Del Coronado, across the bridge from San Diego on Coronado Island. When we got there, I took a break in the room while Brenda and the kids went swimming. 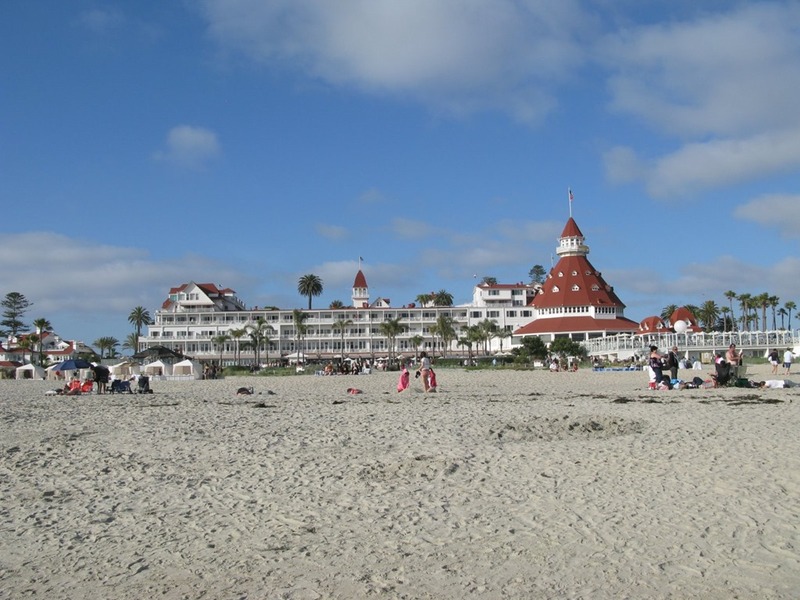 Brenda and I had always wanted to stay at the Hotel Del Coronado (it's one of those "places to stay before you die"). The red turrets, opulent interiors, and lush courtyards are a time capsule of Victorian architecture and design. This is a hotel where celebrities, kings, and presidents have stayed. The film Some Like It Hot was filmed there in 1958.